The Janatha Vimukthi Peramuna (JVP) has always stood with the people and strived together to uphold their rights. Sri Lanka is presently at a political juncture. The abolishment of the Executive Presidency has become a point of great discussion. In this context, the JVP presented the 20th Amendment to the Constitution, that effectively abolishes the Executive Powers of the Presidency and strengthens the pillars of democracy. Anura Kumara Dissanayake, MP and Leader of the Janatha Vimukthi Peramuna believes that 2019 will be a decisive year for Sri Lanka. He is confident that it is time to embrace a new thinking and strong plan of action that will help rebuild Sri Lanka's economy, social fabric and conserve the country's environment. The JVP has introduced the 20th Amendment to the Constitution. Could you tell us about this? In our country and globally, there are government systems that are centered around the President or on the Parliament. Sri Lanka has been governed for over 40 years by a system that is centered around the President. During these 40 years there are many experiences where it has been proven that the Presidential system does not suit our country. Therefore, we suggest that, instead of a system which is centered around the President, the country should move towards a governing system that is based on the Parliament. It is for this reason that over three months ago we presented the 20th Amendment to the Parliament. Thereafter, the many things that transpired, including the decisions taken by the President, has taught enough and more lessons to the people of this country that the Presidential system does not suit Sri Lanka. Therefore, by abolishing the Executive Presidency and the system, we have to take our country towards a Parliamentary system of governance. That is why we presented the 20th Amendment. To pass the amendment a majority of two thirds is required. The Supreme Court has stipulated that a referendum is required so that it is not solely decided by the 225 in Parliament. It has to go to the people to decide. Therefore, we request from everyone in the Parliament to vote and pass this, so that a referendum can be held and the people can decide what they want. We have heard that there are certain groups trying to limit this to 225 in Parliament by not supporting it. Our aim is to hold a referendum on this matter. As such, we request all Members of Parliament not to hinder this process and open the door for the public to make the decision. For a long time, the JVP has been saying that the system has to change. This did not happen overnight. Can you elaborate on this? From the moment the Executive Presidency was created, the people who had confidence in democracy, and the civil society worked against the Executive Presidency system because they believed that this was not a system suitable for Sri Lanka. Our party, even in the election of 1982, discussed nominating a common candidate with the aim of abolishing the Executive Presidency. In 1994 when we withdrew our candidate in order to support Madam Chandrika Bandaranaike Kumaratunga, it was in support of abolishing the Executive Presidency, which she said would be done within the first year. We have a written agreement that by July 15, 1995 the Executive Presidency would be abolished. She also broke that promise. Even Mahinda Rajapaksa, in his 2005 election manifesto clearly stated that the Executive Presidency would be abolished. In the agreement that we reached, this was one of the main conditions and it was very clear that the Executive Presidency should and would be abolished. Then in 2015, the people of this country including civil society organisations supported President Maithripala Sirisena as the common candidate on the belief that he would definitely abolish the Executive Presidency. Thus, except for President J R Jayewardene and President Ranasinghe Premadasa, all others have come into power by making the promise to the people that they would abolish the Executive Presidency. However, once they come into power, instead of abolishing the Executive Presidency, they all worked towards strengthening the power of the Executive and extending their tenure. Over the past one and a half months we have witnessed the fate that could befall the people if the Executive Presidency is not abolished. Therefore, this is a good opportunity to create discourse amongst the public and take measures towards abolishing the Executive Presidency. The JVP has always stood by the people to uphold their rights, this was yet again shown over the recent 52 days of confusion and no governance. Can you elaborate on this? What are the necessary provisions to topple an incumbent Government and appoint another Government? One method is through elections, where the people can express their mandate. In between elections, a Government can be ousted in Parliament through defeating the incumbent Government's Election Manifesto or Budget; or through a successful No Confidence Motion against the Government. Moreover, in the world stage we have witnessed how people have ousted nefarious leaders by taking to the streets to protest. Therefore, the defeat of Governments through elections, Parliamentary process and people's protests are accepted political processes. On October 26, 2018, the events that took place to oust the incumbent Government do not fall under any of these categories. President Maithripala Sirisena and Mahinda Rajapaksa together decided to topple a Government over the course of a night. We believe that this form of political culture should not be allowed to prosper in Sri Lanka. Capturing Governments in this manner has become a precedent in the country. Every President of this country has attempted similar actions. Although there was no violence after the events that transpired on October 26, a similar event in the future will definitely result in a volatile situation. Therefore, our main aim was to use this incident to make an example to ensure similar incidents do not take place in the future. We are working towards that. However, by using his Executive powers, with the aim of extending his power and through this situation, the President suspended the Parliament in order to work towards showing a 113 majority. When this was unsuccessful, the Parliament was dissolved. In Sri Lanka, it is the people who appoint the President. Using this same franchise, they also elect Parliament. Hence, the President and Parliament have a political mandate. However, previously, the mandate of Parliament was under the purview of the mandate of the President, because the President had the power to dissolve Parliament after one year of the Parliament's tenure. Through the 19th Amendment to the Constitution we limited this power by including the clause that the President can only dissolve Parliament after four and a half years. The aim was to ensure that the President was also answerable to Parliament. However, if the dissolution of Parliament on November 19 was considered legal, then it would have empowered the President to dissolve Parliament at any given time. According to the personal agenda of President Maithripala Sirisena fresh elections had been called for January 5, 2019; this means that a new Government would have been appointed on January 6 and if he so wished, the President could have dissolved Parliament on January 7th. The danger of this precedent was that Parliament would have been under the power of the President. If the President has the power to dissolve Parliament at any time, he could rule with a threatening sword above the Legislature. He could say that Parliament would be dissolved if the law he wants is not enacted. Therefore, our ideology was that the establishment of such a Government and the unconstitutional dissolution of Parliament by the President was an attack on democracy. It is for this reason that the JVP worked towards defeating these decisions. In order to do so, we took measures in Parliament, we worked with the people and protested on the streets and we also took measures through the courts. We believe that it is through these combined efforts that we were able to defeat this unconstitutional act. This situation also re-established the independence or separation of the Executive, Legislature and Judiciary. Isn't that how it should be? Definitely. Parliament enacts laws, which the Executive implements and the Judiciary decides on the legality and if these laws are constitutional. Therefore, Sri Lankan society is based on the three branches of power - the Executive, Legislature and Judiciary. The Sri Lankan judiciary dates back nearly 200 years. In the history of Sri Lanka, a case was submitted to the Supreme Court, which brought together the Executive, Judiciary and Legislature. It was an important case, which resulted in the judgment that the Executive cannot dissolve the Legislature. In the Court of Appeal, on the case of the Government having been defeated through two No Confidence Motions; according to Article 48 of the Constitution, the President has no authority to question a ruling on a No Confidence Motion that has been passed in Parliament. That is the duty of the Legislature. Using his power, on November 15 the Speaker of the House announced that as a No Confidence Motion had been passed on November 14, there was no Government from that date. The President has no power to challenge this decision. After this declaration, the President only has the mandate to then appoint a new Government, however he continued to defy this and attempted to stubbornly prolong this situation. Subsequently, due to the No Confidence Motion, the Court of Appeal issued an interim order against the appointed Government. When handing down the judgment, the judge stated that stalling Government in a country is of great consequence and dangerous; however, it is more dangerous for those without power to attempt to govern the country. 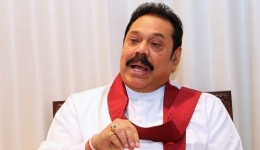 Subsequently, Mahinda Rajapaksa and his supporters appealed this decision in the Supreme Court. However, the Supreme Court upheld this judgment in a unanimous decision. Therefore, this incident demonstrated how the Judiciary and Legislature was empowered to be able to curtail this unconstitutional decision by the Executive. The Executive Presidency undermines the authority of the other pillars of democracy. The Executive Presidency was introduced by the late J R Jayewardene. He acquired the power to dissolve Parliament, and thereby the Executive undermined the power of the Legislature. The appointment of judges from the High Court to the Supreme Court was afforded to the President. The power to appoint Cabinet Ministers and remove Ministerial positions was also afforded to the President. Thereby, the authority of the Legislature, Judiciary and Cabinet was undermined by the Executive Presidency. Therefore, we are of the view that the autonomy of the Legislature, Judiciary and Cabinet cannot be protected unless the Executive Presidency is abolished. There are immense examples in history with regards to the fall of Parliamentary power due to the Executive Presidency. Moreover, the Executive Presidency has also destroyed political parties. 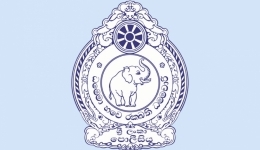 For example, in the Sri Lanka Freedom Party, candidates must retain membership for long periods before they can even contest at the Pradeshiya Sabha level. However, with the power of the Executive Presidency, unqualified persons have been provided election nominations causing a break in traditional party processes. Therefore, it is imperative that the Executive Presidency be abolished. In terms of pressure on the Judiciary, during the tenure of President Mahinda Rajapaksa, Chief Justice Shirani Bandaranayake was impeached because she delivered a judgment against the Government. After hearing cases till 3am in the morning, the next day she was removed from her post. Political parties and campaigns are required not to feel sorry or regret events that have transpired. Instead, political campaigns look to the future and attempt to prevent unfortunate incidents from transpiring again. We have taken measures in this regard. The year 2019 will be a crucial year for the future of the country. What are the plans of the JVP in this context? We believe that the present Members of Parliament should not be allowed to govern for a long time. No matter who shows a majority of 113, they do so for money and benefits. This fact has been proved to the people during the 52 days of no governance. There is a saying that the people can learn greater things through small political incidents than they would through reading thousands of books. Therefore, instead of reading thousands of books on the 70-year political history of Sri Lanka, the people can learn more about the country's political landscape by considering these 52 days. Today, the 113 majority is shown in Parliament based on who has deeper pockets. Therefore, no one in the present Parliament has the right to govern for a long time. Hence, our first goal is to enact laws to ensure punishments against these conspirators is mandatory. The 20th Amendment to the Constitution needs to be enacted. The people's right to elect a Government of their choice should be protected. We have mapped our actions in this regard. A legal framework that holds conspirators accountable, the abolishment of the Executive Presidency and dissolution of Parliament to provide people the opportunity to elect a new Government. What do you say to discourse that the Executive Presidency has ensured stability in the country? Many say that the Executive Presidency has brought stability to the country. This is an incorrect perception. It was due to the Executive Presidency that there was unrest and conflicts in the country. When President J R Jayewardene took on the powers of the Executive Presidency, he undermined democracy. He fired 300,000 labourers who were requesting a ten-rupee increase in wages per day. Vivienne Gunewardena, a prominent politician who stood for these rights was attacked. Homes of judicial officials were vandalised or attacked. It was a destruction of democracy, not only in the South but also in the North. President J R Jayewardene was obsessed with ensuring that every electorate was under his control. During the 1981 Development Council Election, the Jaffna Library was set on fire as an act of aggression and ballot boxes were tampered with. They failed democracy in the North by taking pre-filled ballot boxes on the Yaal Devi. When the people were rising against him, J R Jayewardene instigated the 1983 Black July riots. It was the Executive Presidency that created the mindset of suicide bombers. It is not a normal state of mind for a person to want to commit suicide for their ideologies. The country was brought to the brink of war; we were divided. During the 1981 Development Council Election, while the Sri Lanka Freedom Party was protesting, we were contesting the election. In the 1982 Presidential Election the JVP contested once again. During the 1982 referendum we fought for an election. After the 1982 referendum, we appealed to the Supreme Court that the manner in which the referendum was held was wrong. While the case was being heard, Black July was created and we were unable to attend the hearing. Thereafter, we were suppressed. It was the Executive Presidency that caused the civil war in the Northern province. In 1990, R Premadasa supplied weapons to the LTTE; he provided funds for weapons without seeking Parliamentary permission. It was not decision of the parliament. LTTE members who were hosted at the Hilton Colombo were provided funds and weapons by R Premadasa. Therefore, the Executive Presidency destabilised the country. If you consider the 52 days of confusion and no governance, it was the result of the Executive Presidency. Thus, the Executive Presidency has always destabilised the country. Although many may say the Executive Presidency brings about stability, in Sri Lanka, through example, we have seen how the Executive Presidency has caused instability. The JVP has never supported any political agenda that would divide the country. It never has and never will do so. Even in 1987, when the IPKF arrived in the country, then at the time Ranil Wickremesinghe tried to establish a interim governing system and when President Chandrika Kumaratunga attempted to implement PTOMS, the JVP opposed such moves. The JVP has always been on its stance that the country should not and cannot be divided. As such the 20th Amendment too will ensure the same. Minority parties have in the past supported the Executive Presidency, but have now changed their stance in this regard. Your thoughts? Yes. They assumed that during a National Election they will have leverage for discussions with the President. That is why they support the Executive Presidency. However, in truth it is a business opportunity. They approach the President with the votes they can acquire for monetary gain. With the abolishment of the Executive Presidency, they lose this business opportunity. From the people's perspective, the rights of minorities can only be upheld through Parliament. This is because the tenure of the Parliament is constantly questioned in the Legislature. Therefore, MPs representing the Tamil and Muslim communities will have leverage in Parliament and the opportunity to work for the benefit of their communities. Hence, from the perspective of minorities a Parliamentary system is more suited. Some believe the division of state has been avoided due to the Executive Presidency? In 1990, Chief Minister of the North Eastern Province Varadaraja Perumal hoisted the Eelam flag at the Trincomalee Clock Tower and declared a Tamil state. At the time, the President did not have constitutional provision to dissolve Provincial Councils. However, Minister of Provincial Councils Festus Perera introduced an Amendment to the Provincial Councils Act stating that with the consent of the Governor, the President can dissolve Provincial Councils in such extenuating circumstances. Since this provision is included in the Provincial Councils Act it is not affected by the 20th Amendment to the Constitution. Because although the President's Executive powers are removed, the Presidency itself will not be abolished. Therefore, Presidential powers with regards to national security and Provincial Councils will remain as these provisions have been made through Acts. If anyone has any concerns with regards to these powers, we have compiled the 20th Amendment while ensuring that these particular Presidential powers have been upheld. How does the 20th Amendment ensure the transition of power to the people? The two traditional political camps in the country have constantly been unsuccessful. No one should believe that they are able to develop and protect the country as well as uplift the standard of living of the people. For over 70 years, these two political camps have proven to be unsuccessful. Therefore, there is no need for further discourse, discussion and debate as to whether these two political camps are able to rebuild the country; we must reach this conclusion. On the other hand, discussions must commence as to who can undertake this responsibility and task. That is where the debate lies. There is no use in continuing to criticise these two parties, their actions and inactions. The people know this better than we do, and therefore we invite the people to come to the conclusion that these two parties cannot rebuild Sri Lanka. Then, we must discuss who will take on the responsibility to build the country and how it should be completed. The JVP is in discussion with various organisations and in mid January 2019, we will be introducing a Manifesto with regards to mapping out this process. Thereafter, we will attempt to create a Front in February to work towards rebuilding the country. Moreover, we will carry out a campaign to create awareness on the lack of success of these two parties and in the new year we hope to unite the people under a plan of action towards rebuilding the country. The corporate sector understands that no matter which party comes into power, there will be limited change to the business landscapes. What is the JVP's ideology in terms of the economy and the business landscape? We have been holding discussions with businessmen and industrialists in Sri Lanka for quite sometime. During these disussions they have shared their knowledge, experiences and the challenges they face. We understand the problems that they are facing. We understand that they have a negative perception with regards to the economic policy of the JVP. However, while we noted their negative perception, we asked them whether their ventures prospered due to the policies of the two traditional political parties in which they had placed their faith. They accepted that their industries have either been damaged or not been able to progress further due to the policies of these two parties. We believe that we will be able to create a new economic policy that would benefit the country. I asked the business community whether they are able to sleep soundly at night, because of the pressures they face. Instead of legally seeking the release of goods from Customs or legally managing Income Tax Files, or being transparent with employee wages, they have resorted to black market practices. They may have money, capital and thriving businesses, however regardless of their preference, these businessmen have been compelled to follow black market practices. Firstly, we provide the corporate community the assurance that we will remove the need for them to engage in black market practices. It is only the JVP that can clean up this mess. Secondly, according to our economic policy we believe that in order for the country to proceed forward the responsibilities and duties of the private sector are equally important to the responsibilities of the Government. How can the corporate sector thrive and continue to do business in the country's current landscape? There is no clear vision for the country and its economic goals, therefore the sector carries out its business based on instinct and assumptions. Have we provided the corporate sector a plan on where the country hopes to be in 2025? There is no plan of action on where the construction, agriculture, dairy, and import and export sectors hope to be in 2025. We need a vision from the Government. This vision for the country must come from the Government and not the private sector. We need to invite investment to the construction, agriculture, dairy, and import and export sectors by indicating to them the future prospects of these sectors. We need to ensure stability in the economy for the benefit of the corporate sector. When I questioned the business community they affirmed that neither any President nor Minister of Finance have worked for the benefit of the private sector. They have merely carried out campaigns to collect money for elections. In retrospect, we are able to provide the corporate sector the assurance that if they help develop the country we will acknowledge their contribution. Previously, the JVP was viewed in a negative light. Today that perception is changing. How was this possible? Today, both the economy and the society of Sri Lanka is in decline. Every year there are over 30,000 motor accidents in the country, while eight fatalities are reported every day. If we consider that the war commenced in 1983 and ended in 2009, more fatalities have resulted from motor accidents than from the war. In 2016, 4,000 robberies have been reported for sums greater than 25,000 rupees. In the first 26 weeks of 2016, over 1,200 girls younger than 16 years of age have been sexually abused, harassed or raped. In the first 26 weeks of 2016, 26 people have died in collisions with trains. What has happened? The values in society have eroded. People may say they have knowledge, wealth or protection, however none of them have security in Sri Lanka. Whenever the social fabric collapses, people lose security. Therefore, society needs to be nurtured and the best way to do so is through literature, music and art. The education system is in disarray. However, there are many good books published each year in the country but sales are very low despite a population of 20 million. If a good film is produced, there are no cinemas to screen it. There were many cinemas in Sri Lanka, most of which have now become supermarkets and tuition centres. If people do not appreciate theatre, cinema and music, then where is the society? Society has lost its depth. Therefore, everyone is angry with the other. If an incident occurs on the road, we will be angry with that person until we reach home. This is not the case in other countries as they apologise and make way for others. Therefore, for the past 70 years an aggressive society has been fostered. We must rejuvenate the arts in Sri Lanka and bring about social enlightenment. In history, we have heard that we were once a country where a lady adorned in gold could travel from Point Pedro to Point Dondra. That lady was protected by society and not the armed forces. However, today, we cannot claim the same. It is politicians who are involved in drug trafficking, who own bars and who act aggressively in Parliament that are to blame. How can they nurture a good society? All of these conflicts have been created by politicians. Whether we like it or not, we must accept that. This is the culture that has been created for the past 70 years. Politics has become a profit-making entity. Consider the assets owned by various politicians, from where do they get the money when politics is about serving the people. We need to convert this profit-making business into one that serves the people. Moreover, one of the greatest damages caused is to our environment, most of which is irreversible. The entire Sinharaja Rainforest has only two elephants, and these two have also become a great issue to society. If that is the case, then they will only focus their attention on the conservation of elephants after the species is extinct. In 2016, 292 elephants and 96 people have been killed. There is a huge human-elephant conflict in Sri Lanka. We face floods and drought concurrently. We had 32,000 reservoirs in the dry zone, of which 14,000 remain. Of these 12,000 reservoirs require renovations. We have been unable to maintain the wetness of the soil. The central province is the heart of our country and our ancestors protected this area. They built dams across the rivers and created reservoirs. However, politicians have destroyed the central province. Elephants used to live in the central province. We have all heard the story of the British during colonial time killing 108 elephants in Horton Plains. The elephants were in the mountains, however today there are none. The soil in the central province is weak. The massive reservoirs and dams are vulnerable. The politicians have caused great harm to the environmental system. Therefore, do not provide these politicians the chance to continue to destroy the country. Back in the day, you could hear the flow of water in Kadugannawa. Today, residents of Kadugannawa do not have access to clean water. Through Bandarawela, Wellawaya and Passara, you could hear the lull of water and the sounds of insects. That is no longer true. The destruction caused to the environment is great. They have destroyed the environment, economy and social fabric of Sri Lanka. What more do they require? Hence, we need a system that will heal all these wounds. What can we expect from the JVP for 2019? I would like to reiterate to the people that there is much that needs to be done. Firstly, we must clean the battleground nature that has evolved on the political landscape of this country. Secondly, we must change the economic agenda of our country. Thirdly, we must transform our society for the better and fourthly we must work towards the conservation of our environment. We need a new plan of action to achieve this objective and we request the people to join our campaign. There is no use in continuing to look towards the two main political camps in the country. 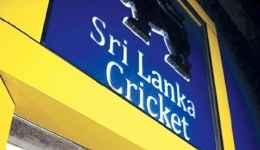 Sri Lankans are weary of new experiments. However, we implore them to try a new way. If it is unsuccessful, then it can be changed at the following election. However, firstly, we invite the people to make a strong decision and commit to this new experiment. We believe that in 2019, the duty of the JVP should also be the duty of the people. We are willing to have open discussions with anyone who wishes to see the country move forward. We are presently engaged in comprehensive discussions with professionals, artistes, industrialists and the business community and we are sharing knowledge, ideas and experiences with each other. Furthermore, with the contributions from experts from all sectors, we have formulated a series of policies to uplift the country. We hope to build a people's campaign to implement these policies into action. This will be done by mid-2019. We invite all the people of Sri Lanka to gather around and support this people's campaign for the future of our nation.